Wait, wait...are you creating these tools for the development of sand box worlds NOT based on Earth? 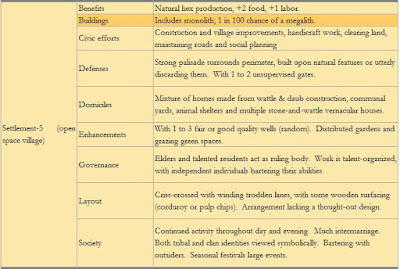 Or are you creating these for filling in spaces on your own world map where you are unsure (or unclear) about the developmental standing of the region? The reference/trade system is designed to be used in any environment, so long as the user designates their own references for their own geographical framework. 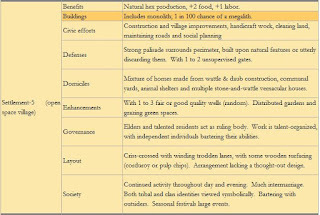 The infrastructure system is designed to be applied to any group of localities, so long as the user can identify the population of the starting cities. So yes, the system I'm building could be applied to anyone's world, so long as the base statistics are created in some fashion. This is really interesting, - I'll have to look at that book you mentioned at some point (My reading list continues to be basically infinite in length). I don't necessarily intend to make something simpler than what you are doing (though it probably will be, that is a function of necessity, rather than virtue). To do anything at all, I'll need to do a lot more reading. Quite simply, I just have different priorities, I think. For me, the process of creation is fascinating, and I love to make systems for making things. I want to see how stuff is done. And you're doing some very neat stuff.